My mal e students who are into sports are very particular about their sports, it’s either football, basketball or baseball. It is not a blend. So, what do I give students who want to read nothing but sports books and Sports Illustrated? I had a suspicion that I could pull them in with Mike Lupica’s books, and am happy to tell you that I have kids, many of them reluctant readers, grabbing his books off the shelves. 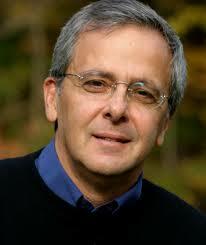 Mike Lupica is a syndicated sports writer for the New York Daily News. Most importantly, he writes realistic fiction about football, basketball and baseball. This is realistic fiction that has my tween and middle school boys excited about reading. I think these books could easily reach high school age students too. Take a look. You can also check out my review of Heat, Mike Lupica’s book about a 12 year old boy trying to get to the Little League world series. If you know a child that is struggling with taking risks or overcoming a fear, this is an inspiring book. I share this with my grades, 2nd through 6th but think it works best with 2-4th graders. I had a great experience reading it to my third graders recently. They were drawn in by the words, written in verse, and the simple but beautiful illustrations of a yellow bird, green trees and a blue sky. I think this book really works with kids, because it acknowledges the fears that come with taking risks but also explores the possibilities and opportunities if risks are taken. 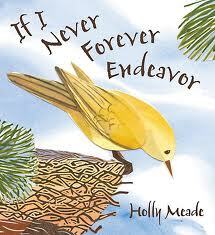 After I read this book, we had a great discussion as a class of times when students took risks. They also talked about risks they were still scared to take. I love this book, because it is thought-provoking at the same time it is comforting and uplifting. Stargirl is magical, just like Stargirl herself. What happens when you meet someone completely different — someone who does things that no one would ever do, things that draw a lot of attention. What if that someone doesn’t even care that they’re different? Would you have the courage to be that person’s friend? 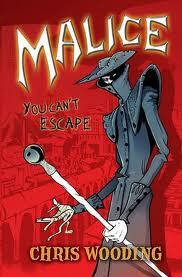 I loved this book and so did my students.